SV: I think a good place to launch here is the quote in the press release that says you feel like you reached the end of the road doing one thing and it’s time to figure out where the road goes next. RF: That’s a definitely clear delineation. SV: It seems to me that you have reached ends of roads and forks in the road with this band multiple times where you could stay or you could move further. The guitar orientation on Fountain of Youth, the orchestral arrangements on Built To Last were both shifts toward evolution. RF: You’re calling out those pivots. SV: So now we have another one. What makes you feel the inclination or necessity to do that? You could easily just put out a technologically updated version of Tourist in Paradise or Moonlighting every two years for the rest of your life (laughs). RF: Looking back it was unusual that I was left alone so much by the labels and allowed to really write whatever I wanted. I always just kind of went with the wind and where the wind was blowing with my ideas. They have been informed somewhat by what was happening in my life, and somewhat by what was happening sonically in the analog and digital world and by how the band was playing. All these things influenced the work. But the one thing that stands out to me after taking almost three years to record a CD is that I really, really took my time to build these songs and to construct them and the guys in the band were there musically. Right there! 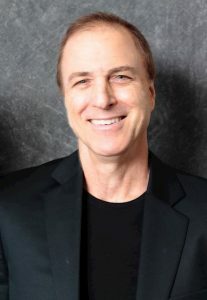 It is amazing that I have a team of people who are absolute experts and it’s great for a composer to have accomplished musicians to play their music. SV: That is so fabulous. Most of the fans know this but sometimes you see comments that it’s primarily you and the band is secondary. And yet, when I read the interviews you have done here or with other people, you have always talked about how as you grow the band has grown and as the musicians in the band have grown they have pushed you too. RF: What is unusual in this band is that from the beginning I played most of the instruments and this has helped me write the music. I play the keyboards, I have programmed the rhythms, played all the guitars. I always felt that is beneficial to understanding the role of each instrument as an orchestrator. And yet I have always surrounded myself with excellent musicians. I don’t feel like these things are mutually exclusive. They both help. I have learned a lot from playing with these wonderful musicians and the stellar guest stars who have been with us over the years. That learning process has been going back into the creation of the music. I am always grateful for the input of the band! SV: How much input does the band have in the creative process, especially when you get into the actual recording? RF: I have to say that on this particular album I collaborated more with Dave Karasony on the drums than on any other album, probably on all of them combined. He was there during almost all the process. It’s funny because there is a song that he is featured on, “Tangerine Sky.” I kept telling him there is a tune coming on this record that he was just going to have pandemonium. It was late in the process. I would throw him songs and material and it was a really collaborative process. RF: It’s funny because I didn’t know what he was going to play. Sometimes I sketch everything to the precise detail but other times it’s very loose. I had done the mockup for that song -the rhythm and the keys on it. I had no idea what he was going to play and I didn’t want to tell him what to play. I wanted to give him that landscape and see what he was going to do with it. I was curious. I just cracked up when his wife heard it and said if you play this in concert make sure you do a ballad afterward. She was afraid the guy would have a heart attack. That’s how much he put into it. SV: I saw that you are doing some of the new material in concert. RF: Actually it’s amazing how many of the new songs we are adding to the set list. We’ve got eight songs from the new album. I’ve always deferred on never playing more than two or three. SV: Flashing back to previous conversations you’ve always said that you like to kind of get the new music out there to get a feel for how your fans are reacting to it. RF: Also I think that since we have been rehearsing them they are just playing so well we feel confident enough to add them. SV: These songs are so compositionally complex I was thinking “how did he come with this?” How did you come up with the idea to do these songs this way? RF: Do you mean song by song or pick a song that you’re curious about? SV: I would love to go song by song but for the sake of time and length I’m thinking more in general. You take songs to the least expected, most surprising places. A lot of songs are predictable, yours are anything but. “Lost Highway” would be a good one to pick though, it feels familiar and unpredictable at the same time and there’s that classical sounding break in the middle. RF: Funny, I was going to pick that one. SV: Well, there ya go. SV: There’s an analogy for you. RF: That’s kinda what he is, you know. So suddenly we come out of that and I’m thinking what could I do differently. It’s just boring to keep playing the choruses so I wanted to do something else. So I treated it completely differently, completely out of the blue, then we come back and play the theme again. SV: Now I have to go listen with this perspective to hear how it works. That will be fun for people reading this. One intriguing thing that I’ve noticed from album to album is that there are melodic themes that are identifiable as a Rippingtons sound. It’s never repetitious but a person who follows the band could hear a song and go. 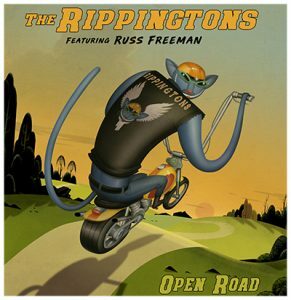 Yes…Rippingtons! But the song always opens up into something new and different. RF One thing that is interesting to me is that you mentioned that you thought it was harmonically complex and I see it as just the opposite. I see songs like “Silver Arrows” as being simpler, maybe some of the simplest I’ve written. And “Luca” is deceptively simple. Yet that song has spoken to people in an emotional and heartfelt way that actually surprised me. SV: It’s gorgeous and you get kind of immersed in it. When it goes into “Grand Via” I thought it was just a change on the same song. I didn’t feel it turning into a different song until I looked at my screen. RF: That is absolutely on purpose. I conceived those two together and I definitely wanted them to be together and to grow out of the same DNA. Again it goes back to the same iteration of taking an idea and then showing maybe an inverse, or treating it completely differently texturally. So that’s interesting to me, the contrasts are what interests me now. SV: There are a lot of those on this album. Even between the mood, you think a song title would evoke and what actually happens in the song. You see a title like “Before Sunrise” and you expect something gentle and kind of new-age soundscape. Instead, you have this dark moody electro chill thing. Where did that sound clip about the generator come from? RF: That came from a World War II movie. I guess it was one of those Department of Defense propaganda films (laughs.) I saw it somewhere and thought ‘that’s cool!’ I don’t know what that statement means but I can use that so I just popped it in. SV: That again was really out of the box originality. Not knowing what it means is part of the ambiance. RF: What I like about “Before Sunrise” is that after writing all these changes and complex harmonies for other songs I thought ‘OK what if there are no changes and no form? That’s interesting because we haven’t done that.’ So that’s what appealed to me about how that song worked out. RF: One thing I like about instrumental music, and one thing that makes it difficult for me to talk about these songs or any songs is that I want the listener to create their own visions of what it means to them. I want the listener to create their own vision of what it means to them and not be colored by what it means to me. That’s the beauty of instrumental music. In your mind you can create the images yourself. I love the fact that what it means to you could be completely different from what it means to someone else. SV: There are so many sounds on this album. Just little guitar sounds, keyboard sounds. Sounds you don’t know where they come from. Like the tick-tock in front of “Open Road.” How do you find them, how do you know where to put them, how do you make it work, and how long did it take. How’s that for covering a lot of ground? RF: I think a lot of what you are referring to are glass and steel sounds. Gamalon sounds, wind chimes. They are things that occur in nature. That’s kind of where we are. The clock sound of course. That’s a real absolute direct reference to time. To me, it’s the passing of time. That’s the motive, the motif, for Open Road. It’s the passing of time and how you choose to use the time that you have. You have one choice. You have one life, you have to weave through all your choices, and your destiny is informed by those choices. That’s what this album is for me – the passage of time and your free will as to how you use it. SV: So how do you use it? RF: Well, everyone has got a life and they make their choices. We’re here because of the choices we already made and our future is going to be determined by the choices we make now. I guess that’s why it took me so long to record this. I was thinking about what I want to be remembered for as a composer and producer. What kind of sounds do I want to have? What kind of playing do I want to do? I’m cognizant of all these choices and decisions. SV: I think the main thing that you are going to be remembered for is growth and evolution. This is a very brave album because you are shaking the comfort zone real hard in here. That is a really significant contribution and hopefully, it will inspire others to push out of the safe and comfortable. You used lots of guitars on Fountain of Youth, how many on this one? RF: Good question, let me look it up, see if I can decipher that. SV: I’m just being a guitar geek and nerding out here. RF: (starts trying to recall the songs and then..) The answer is that I don’t know. I’ve already forgotten (laughs). There are really not that many. What I did is that I designed a lot of the synth sounds from scratch. I did all the sound design. Not all, but a lot, and that’s what I’m really proud of. SV: There’s the word I was looking for. That is what is so awesome about these songs is there is a lot of sound design here. You took it to a whole new level. RF: There is a lot of sound design. It took me a while too. I had to learn a lot and there is a learning curve to what I wanted to achieve. I didn’t want to use any stock sounds. I really wanted to go out of the box and do my own sound design on this one. SV: Your fans primarily recognize you as a guitarist but you have said that you spend as much time, even more time, on keyboards than guitar at this point. RF: I spend 50 times more on keyboard than I do on guitar. I think I’ve gotten to the point where my skills are almost equal in those. Unfortunately I have not been able to perform on keyboards. I wish I could considering all the time I spend on it. SV: It’s amazing how after you have a level of mastery with something the technology evolves and gives you something else to play with. RF: Every single day. It’s incredible. SV: If you are willing to jump into that learning curve you can come up with brilliant stuff. RF: I think that’s an important point. To embrace change. When you talk about being visionary you have got to attempt new things. You’ve gotta try. You’ve gotta make inroads into places you’ve never been and things you’ve never done. That can be uncomfortable, especially when you are at a place where you are now comfortable. You’ve got a huge list of hit songs and you could stick to that and just play your hit songs. I’ve never understood the idea of going out and playing your hits from 30 or 40 years ago. That’s really boring, I don’t want to do that. SV: I think they feel like the audience wants a greatest hits show and they will lose them if they go off that track. But I have seen some artists recently who are playing new stuff for over half their set and the audience is eating it up. But they also shout requests for favorites. So it’s a matter of finding that balance, which can be difficult. RF: I understand that the fans want to hear the hits. It’s fun. We want to play the hits, we’ve done that a lot. For the past several years we have tried to go back and play the hits that people like. For me to be interested in going forward it has to be something that is new and is a challenge though. 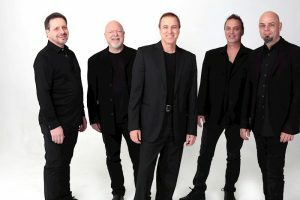 SV: The Rippingtons are 33 years into this. It’s been that long since we got the vinyl record on the Passport label with a cat sitting in the moon. Back when you did that first album did you ever think that you would be doing this music or that this music would be going through so many changes and you and the band would be as influential as you have been? RF: None of it. I never thought that could possibly be. SV: So how do you keep yourself and the band on the whats next thread? RF: Every year I thought that this is it, we’re done. Maybe that is what keeps the slate clean. You cant look at the whole timeline, you just have to be in the moment, so I couldn’t tell you. Sometimes it’s better not to know. RF: That’s really the amazing thing. SV: And you keep nudging, or even shoving us out of our comfort zone, which is always a good thing. RF: We’ll see about that. If they all buy it, then there’s your answer. SV: What would you want people to know about this album that we haven’t said yet. RF: What I am interested in is their reactions. I think it’s great. I feel like we put so much into it, now we put it out there and the chips will fall where they may. SV: I feel like it’s the culmination of something that especially evolved over the last few albums of you being a composer rather than a songwriter. And the other thing I love is that if someone were to ask me what type of music this was, or what type of music, say, Fountain of Youth was I couldn’t answer the question. There’s no way to put these songs in a categorical niche. SV: (laughing on the upbeat) Is “play loud and listen close” a category, because that would work? I did just see a social media post from Jay Gore that he is doing a tour called “Guitronica” – guitar plus electronica. But there is so much more going on here with just the diversity of the songs. Bottom line, I think it’s more of an experience than a genre. RF: I think you should say that when you edit the interview. SV: Because people are reading my interview with you to learn more about me (equally deadpan). But I do think people are moving more toward listening to all types of music than being loyal to specific categories. RF: I definitely think people have a much wider taste in music than we give them credit for. Just because you like classic rock doesn’t mean you can’t like pop or classical music or any other type they may hear. I meet people who love a lot of different kinds of music. SV: So you give them a bunch on one album. Works for us. You’re about to hit the open road with a new tour. How are you feeling about taking this music to the fans? RF: I think they are going to like it. I know they are going to like it. SV: I think hearing these songs live will actually open the door for people to be more into the amount of experimentation that is happening here. RF: I think you’re right and I’m kind of surprised at it. I think there is a pent up vein of desire for this kind of music that people are not getting serviced with. I’ll tell you, no one is going to spend this much time to make a record like this. You are never going to hear another record like this. It’s too difficult to make. It required such an attention level to detail. That in itself is such a novelty that people are going to appreciate it. SV: I agree and I can’t wait to hear y’all play these songs live. I will be front rowing it in Jacksonville with studio-grade earplugs. I want you guys to make me have to put them in. How’s that for an ask? RF: We’ll do our best!